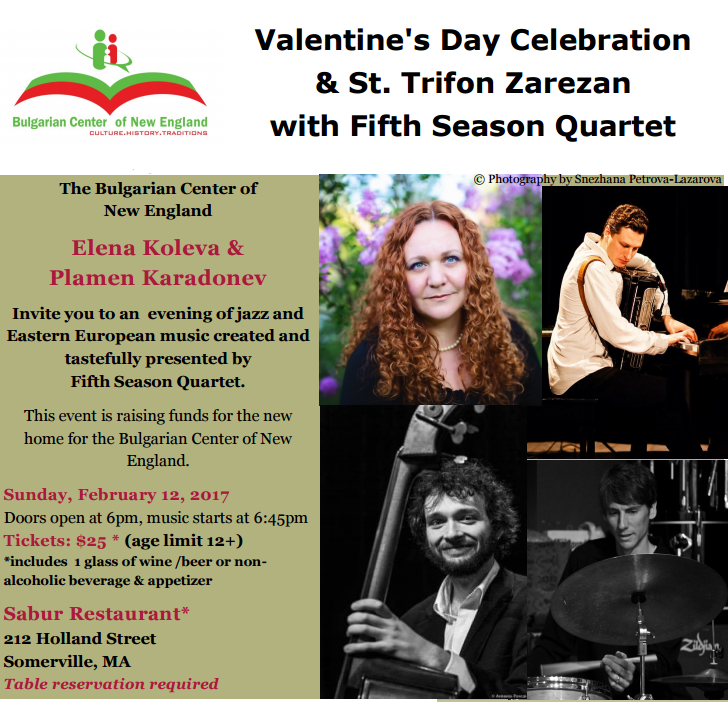 Dear Community, Due to the upcoming snow storm tonight, the St. Valentine’s/Trifon Zarezan jazz concert is postponed to Sunday, February 26 at 6pm. Many of our guests travel from far away and we want to make sure everyone is safe. Thank you and apologies for any inconvenience. Be safe and warm! Elena Koleva and Plamen Karadonev invite you to an evening of jazz and Eastern European music created and tastefully presented by Fifth Season Quartet. Table reservation strongly encouraged by February 10, 2017. 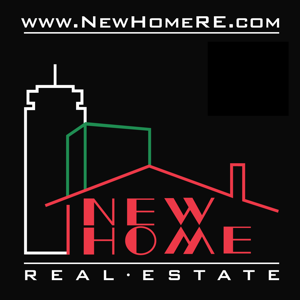 Free parking is available next to the restaurant; on the street or at Tufts parking lot located at 169 Holland Street Somerville, MA.